Washington (CNN) - A US delegation traveled to North Korea on Sunday for preparatory talks ahead of a potential meeting between President Donald Trump and North Korean leader Kim Jong Un, three senior US officials with knowledge of the situation tell CNN. A team of US officials focused on the logistics of a summit left this weekend for Singapore. The delegation that entered North Korea on Sunday is more focused on the substance of the talks. The summit, which was initially scheduled for June 12 in Singapore, was abruptly canceled last week by Trump who cited hostile comments from top North Korean officials and concern about the country's commitment to giving up its nuclear weapons. Whether the meeting will actually take place continues to be uncertain. However on Saturday evening, Trump told reporters: "We're looking at June 12th in Singapore. That hasn't changed." South Korean President Moon Jae-in said on Sunday that practical talks will be held between the US and North Korea "very soon," and the outcome of those talks will dictate if the June 12 summit will go ahead. He added that he expected the practical talks and summit to go "very smoothly." CNN's James Griffiths and Sophie Jeong contributed to this report. Editor's Note: Michael D'Antonio is author of the book, "Never Enough: Donald Trump and the Pursuit of Success" (St. Martin's Press). The opinions expressed in this commentary are his. (CNN) - Hellbent on besting Barack Obama at everything, Donald Trump began talking about his potential Nobel Peace Prize long before the date set for his summit with North Korean leader Kim Jong Un. He heaped praise on the most repressive leader in the world -- "very honorable" were the words he used -- and the White House Military Office even issued a commemorative medal for the upcoming summit which, bizarrely, called Kim "Supreme Leader." But Thursday, with a letter to Kim that is true to the cartoon nature of his personality, Trump cites "the tremendous anger and open hostility displayed in your most recent statement" and canceled the peace talks in a fit of childish pique. This came after Vice President Mike Pence's threat that the North Korean government could be toppled as Libya's was if Kim didn't come to heel -- a threat that prompted a North Korean official to call Pence a "political dummy." Rarely has a President shown himself to be more clueless than Trump in his handling of the Korean crisis. With his schoolboy taunts about "rocket man" and wild swings between threats and loving praise, Trump has acted true to form. To understand this one need only consider his previous record of negotiating in business. As a New York real estate promoter, Trump habitually made outlandish statements and proposed projects he could never deliver. In one case he was going to build the tallest building in America on the Upper West Side of Manhattan. In another he insisted the big convention center named after longtime Sen. Jacob Javits of New York be named after his father, Fred Trump. Neither folly came to pass. In politics, Trump's early endeavors were marked by similar bluster. He feuded with Mayor Ed Koch and criticized every president who occupied the White House from 1976 forward. As a young man, he talked openly of the amounts required to purchase the loyalties of lawmakers and even New York Gov. Hugh Carey. And in my interviews with him in 2014, he disparaged politicians as almost as dishonest as the press. Trump's methods worked when there was little more than a property development or the next day's headlines at stake. But as he approached North Korea with the same technique, it became obvious he was out of his depth. As other parties manipulated him, Trump looked like the monkey-in-the-middle in a game of keep-away played in a schoolyard. First the North Koreans, who had obviously made a deep study of Trump, provoked him with nuclear tests and missile launches. Going further than they had ever gone before, they were able to goad a gullible Trump into juvenile taunts and threats of "fire and fury." This behavior appalled people around the world and made Trump into an outlier in the diplomatic realm. Having captured Trump's attention, the North Koreans then played their hand perfectly, courting the South Koreans and demonstrating to the world at the Winter Olympics that they could be warm-hearted members of the international community. Thus lulled into over-confidence, Trump made what he must have believed to be a brilliant overture for peace talks that would finally give Kim the legitimacy he craved. To seal the plan, he even sent Secretary of State Mike Pompeo to Pyongyang. A commemorative coin featuring US President Donald Trump and North Korea's Kim Jong Un was struck by the White House Communications Agency ahead of their summit meeting, which Trump has cancelled. The coin depicts Trump and Kim, described as North Korea's "Supreme Leader," in profile facing each other in front of a background of US and North Korean flags. As Trump took crude steps toward the North Koreans, he alienated China with threats of a trade war. He also invited super hawk John Bolton into the White House as his national security adviser. Joining the crowd that intended to play Trump for their own purposes, Bolton immediately talked of how Kim could have the same experience as Libyan dictator Moammar Gadhafi, who gave up his nuclear weapons program only to be hunted down and killed during the Arab Spring. "If you change your mind having to do with this most important summit, please do not hesitate to call me or write. The world, and North Korea in particular, has lost a great opportunity for lasting peace and great prosperity and wealth. This missed opportunity is a truly sad moment in history." Trumpian in every way, the letter caps many months of amateurish effort and seems to indicate a man looking for an easy way out of finishing a job he was never prepared to do. Bolton and Pence got what they wanted by tying Trump to a hawkish approach. Kim got what he wanted by showing he could stand toe-to-toe with the American President and be recognized as a true leader. The South Koreans who tried to broker the summit demonstrated to their people they were working for peace, and China showed the world it could nudge Kim into a less belligerent posture. Who lost? That's easy. Peace-loving people all over the world lost a chance at progress and Trump lost his shot at the Nobel. 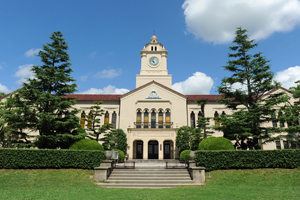 Nihon University coaches ordered one of its players to make an illegal tackle during an exhibition game against Kwansei Gakuin University on May 6 in Tokyo, according to the Kanto Collegiate Football Association. The KCFA announced its ruling on the matter during a Tuesday news conference. Former Nihon University Phoenix head coach Masato Uchida and his assistant coach Tsutomu Inoue, who allegedly played a major role in causing the illegal tackle delivered to Kwansei Gakuin University quarterback Kosei Okuno by Nihon defensive end Taisuke Miyagawa on May 6, will be banned for life from college football in the Kanto region, the KCFA also announced at the news conference in Tokyo. "We gave the harshest punishment to the coaches because we decided they forced the player to make the illegal tackle," said Keiji Morimoto, the chairman of the discipline committee. "We had the hearings from about 20 people, including players and coaches from both schools, officials and witnesses of the game. We also obtained videos and voices to investigate." The KCFA also suspended Miyagawa and the Phoenix for the 2018 season. It is not necessarily the end of the season for Miyagawa and the Phoenix, however. For Miyagawa, the suspension could end after he hands in a letter of apology to the KCFA and has another meeting with the discipline committee to confirm that he never makes dangerous plays again. It is up to the KCFA to decided if these conditions have been met. The Phoenix also could be reinstated before the season starts in August if they adhere to conditions required by the KCFA. The Phoenix are ordered to report how a series of fouls occurred in the May 6 game and how the Phoenix will prevent that from happening again. The Phoenix's report must be verified by a verification committee, which the KCFA will set up. If the KCFA confirms that the Phoenix have met the conditions set forth by at the KCFA board member meeting, then they will qualify to play in the Top 8 this season. Also, Taku Mori, Nihon University's top assistant coach, was disqualified from his position, it was announced. Miyagawa said he was ordered to hurt Okuno on the first play of the game during a May 22 news conference, but Uchida and Inoue denied that had happened the next day. The KCFA listened to the report of the discipline committee, which held hearings for the players and coaches involved. Also on Tuesday, Nihon University players announced their statement, citing an apology to Okuno and his family and vowing to change the team's culture and earn the public's trust again. It was expected the statement would unveil the testimony that Uchida and Inoue ordered the play, but the players failed to say that clearly, only mentioning "we relied on coaches and believed what they told us without any doubt." ★Nikki Haley "Israel's NOT Going Away!" Nikki Haley "Israel's NOT Going Away!" Why are Americans more obese than Europeans? Obesity: The American way of life.